1st Place – Jimmy – technically the winner is Jimmy, although this is a photo of Sully and Jimmy (Jimmy’s on the right). 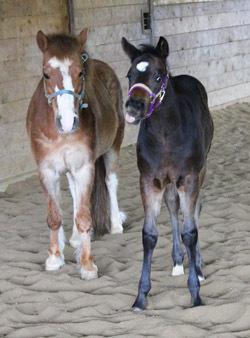 Jimmy is a Quarter Horse foal owned by Tracie Plummer of Meadow Star Farm in North Plains, Oregon. 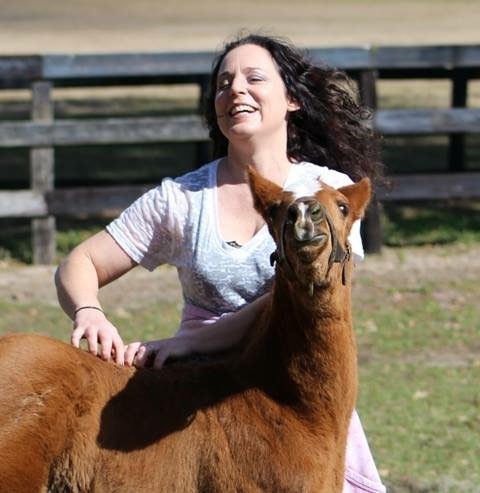 Congratulations to Jimmy, 2016’s Cutest Foal! 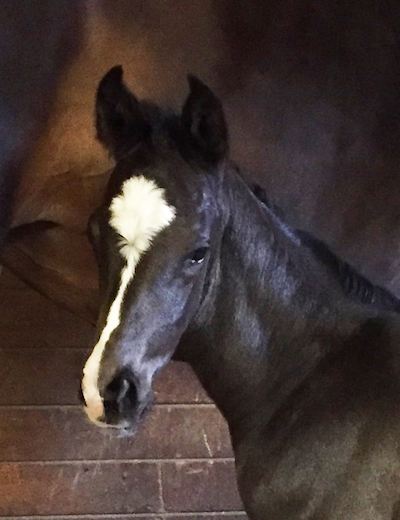 ​2nd Place – Don Ramon, a Hanoverian foal owned by Steve Schubert of Rosebrook Farm in Georgetown, Massachusetts, is our 2nd place winner in the Cutest Foal category. 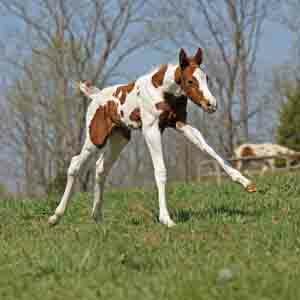 ​3rd Place – Ruthie, a Paint Horse foal owned by Nancy Vanco in Gallipolis, Ohio, is our 3rd place winner in the Cutest Foal category. 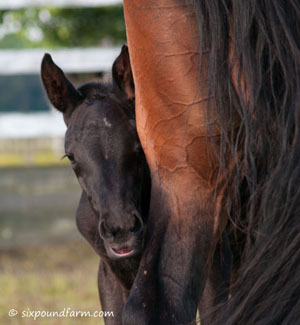 Staff’s Choice – Luminottie SPF, a Dutch Warmblood foal owned by Tracy Geller of Six Pound Farm in Suffolk, Virginia, is the Staff’s Choice winner in the Cutest Foal category. 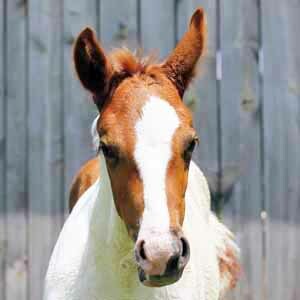 1st Place – Luminottie SPF, a Dutch Warmblood foal owned by Tracy Geller of Six Pound Farm in Suffolk, Virginia, is the winner of 2016’s Most Personality category. 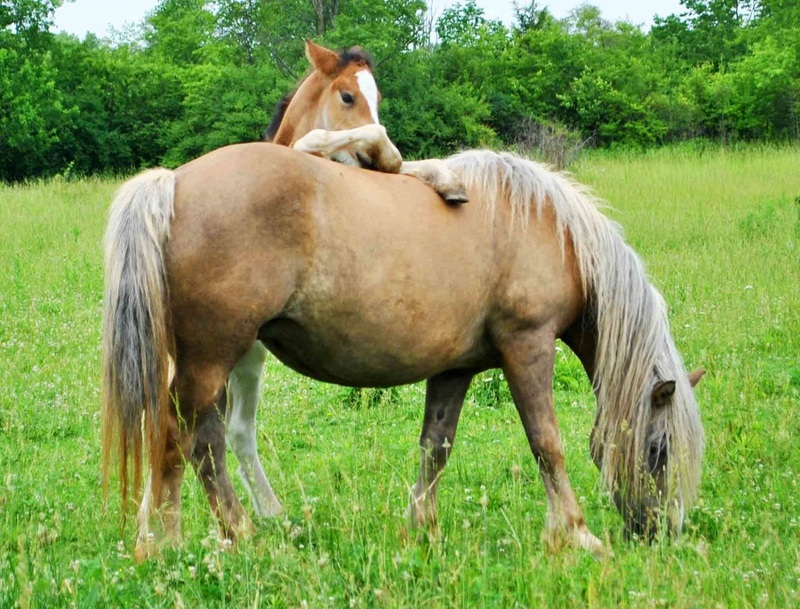 2nd Place – Summit a Gypsy Sporthorse foal owned by Amanda Gray of Grays Acres in New Lebanon, Ohio, is our 2nd place winner in the Most Personality category. 3rd Place – Ruthie, a Paint Horse foal owned by Nancy Vanco in Gallipolis, Ohio, is our 3rd place winner in the Most Personality category. 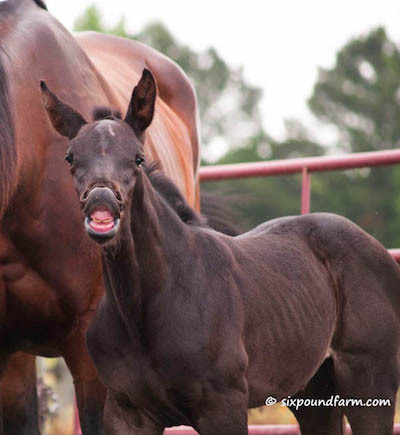 Staff’s Choice – Suggestive Invite, a Quarter Horse foal owned by Kerry Bradac of Bradac Ranch South in Ocala, Florida, is the Staff’s Choice winner in the Most Personality category. 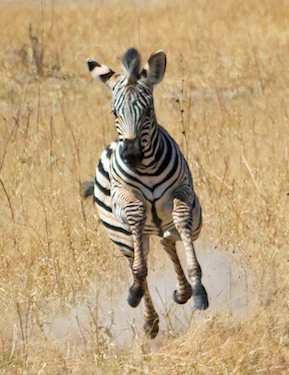 Zebras are equids, members of the family Equidae, which includes horses, donkeys, and zebras. 2nd Place – Paladin EMP, a Rheinland Pfalz-saar International (German Sporthorse) foal owned by Miranda Pierson of Empyrean Farm in Oxford, North Carolina, is our 2nd place winner in the Most Colorful category. 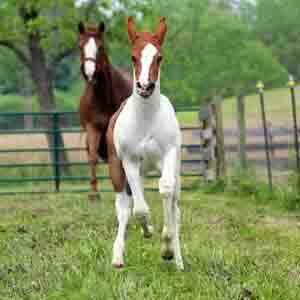 3rd Place – Bernie, a Paint Horse foal owned by Nancy Vanco in Gallipolis, Ohio, is our 3rd place winner in the Most Colorful category. Staff’s Choice – Zippy the Zebra. ‘Nuff said. 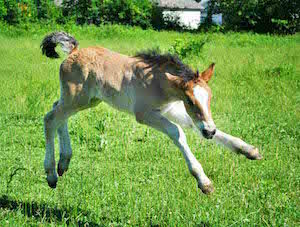 1st Place – Summit, a Gypsy Sporthorse foal owned by Amanda Gray of Grays Acres in New Lebanon, Ohio, is the winner of the Best Action Shot category. 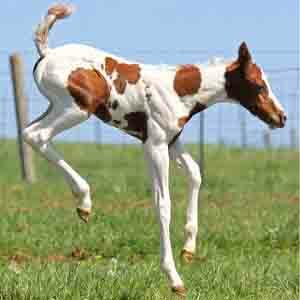 2nd Place – Bernie, a Paint Horse foal owned by Nancy Vanco in Gallipolis, Ohio, is our 2nd place winner in the Best Action Shot category. 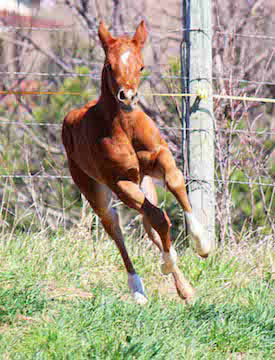 3rd Place – Walla Walla Code, a Quarter Horse foal owned by Pamela Bershon in Blair Nebraska, is our 3rd place winner in the Best Action Shot category. 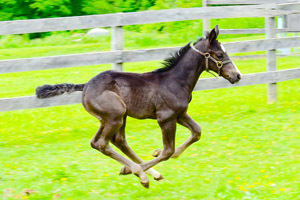 Staff’s Choice – Dreamcatcher, a Hanoverian foal owned by Anke Ott Young of Avalon Farm in New Canaan, Connecticut, is the Staff’s Choice winner in the Best Action Shot category. Category awards will be presented to 1st, 2nd, and 3rd place winners in each of the four contest categories. Our category awards are personalized, custom-engraved silver products, made to order for each winner. 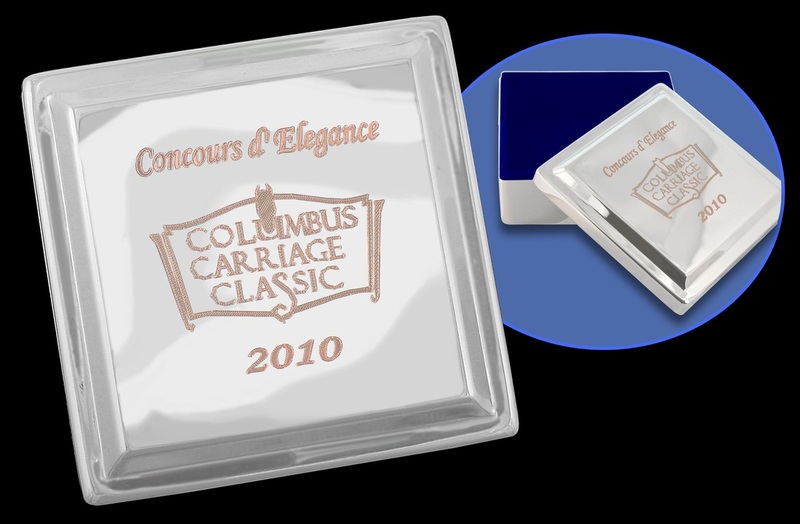 First place in each contest category will receive a beautiful 12” square silver tray, made of non-tarnish silver. Each tray will be engraved with the category, placing, and name of the winning entry. Second place in each contest category will receive a silver box with a beautiful blue velvet lining. Each box will be engraved with the category, placing, and winner’s name. 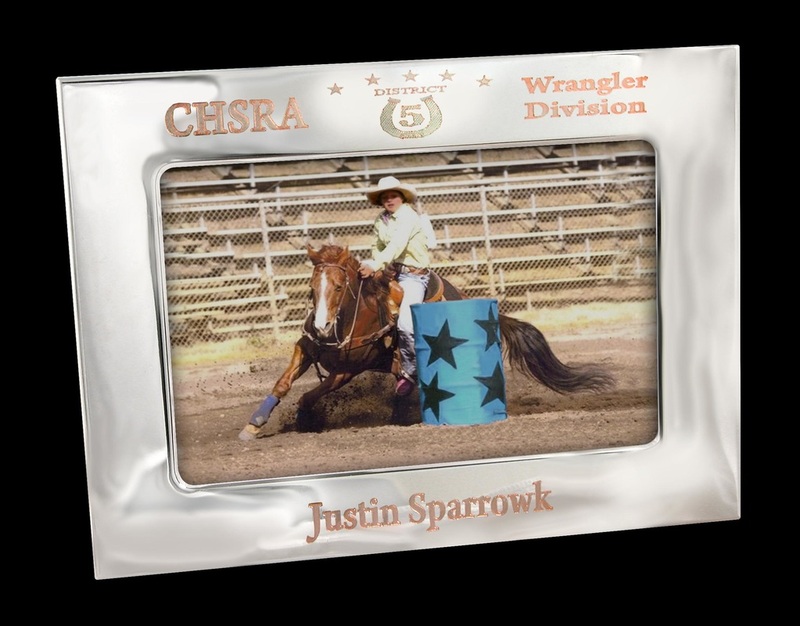 Third place in each contest category will receive an engraved silver photo frame. The frame holds a 4x6 photo and will be engraved with the category, placing, and name of the winner. The Staff’s Choice Awards are presented to the top pick in each category as voted on by Equine Legal Solutions’ staff. Winners of the Staff’s Choice Award will receive one-of-a-kind equine jewelry handmade by two very creative members of our staff. English-type winning foals will receive a beautiful stock pin; stock-type winning foals will receive a horseshoe nail pendant. ​Pendant and stock pin shown are examples only; actual stones, beads, and designs may vary. No cash prizes will be awarded, and prizes are not redeemable for cash. 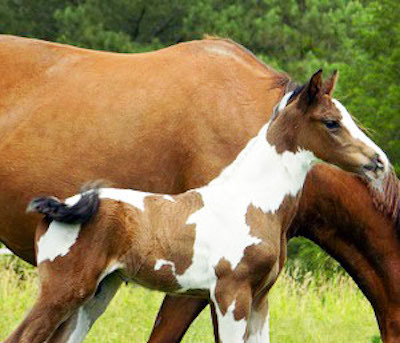 Thank You to Our Foal Owners! And Thank You to Our Voters!